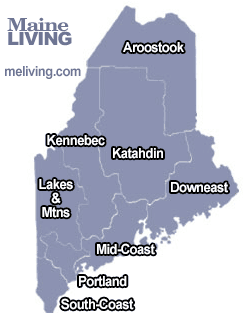 We found some great places to pick your own Maine Wild Blueberries in Androscoggin County. The glacial fields and barrens of Maine provide an ideal combination of soil and climate which enables these vitamin-packed berries to flourish for thousands of years. Wild blueberry crops are maintained by farmers who own the land they grow on, and many farmers have been doing so for generations. Please share your updates and comments. To feature your business, contact us. Open dawn to dusk every day except Sunday in season. You-pick raspberries and highbush blueberries. Plenty of parking close to fields. Restroom facilities. Blackberries, wild blueberries, vegetables, apples and raspberries. July through end of October, daily from 9 am to 6 pm. Pick your own highbush blueberries, raspberries and cut flowers. 8:30 to 10:30 am and 4 to 6 pm. Closed Monday. Maine Organic Farm and Garden Association certified organic wild blueberries. Special orders, pick your own.